Collecting, when done for investments beyond the financial, is nearly always in part about outward projection. Whether it's rare coins or Rose Period Picassos, we’re moved to acquire things precisely because they articulate our personalities, our histories, our proclivities (be as they may) for the benefit of others as much as ourselves. We understand that what we like conveys something of what we are like; we give chase knowing that, insofar as they speak to us, our choices invariably speak for us as well. 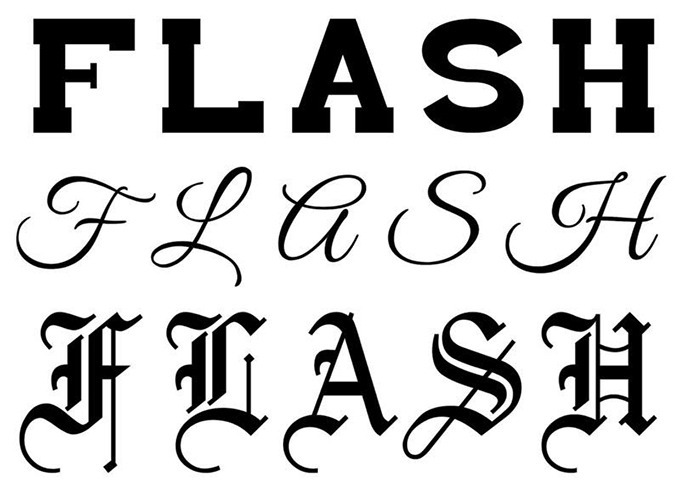 As penchants go, few embody this melding of sentiment and spectacle as literally as body art—and with “FLASH FLASH FLASH,” an ongoing series of exhibitions-as-tattoo parlors, Gagosian Gallery finds parallels in the accrual of ink and fine art, each being concerned as it were with curated, permanent collections. Launched in September at the New York Art Book Fair, the project enlists a select group of artists to design original tattoos whose “flash sheets” double as saleable prints. At PS1, the set of contributors included Devendra Banhart, Douglas Gordon, Kim Gordon, Genesis Breyer P-Orridge, Max Hooper Schneider and Richard Wright; with the requisite fee and a prompt reservation (each design was limited to six inscriptions, then permanently retired), patrons could have their chosen artwork set to skin by professionals from Brooklyn-based Flyrite Tattoo, on-site and in view of fellow fairgoers. 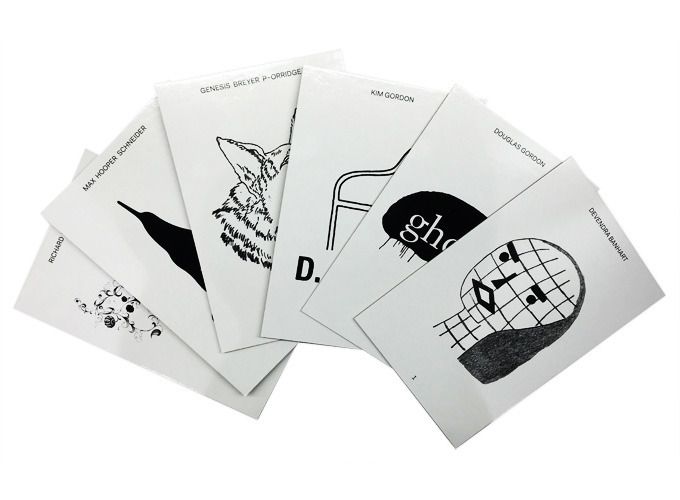 Rounding out the presentation was a set of supplementary merchandise: tote bags, temporary tattoos and, most notably, a special-edition book designed by Brian Roettinger. “FLASH” is the brainchild of Ben Lee Ritchie Handler, who serves as in-house librarian and archivist at the gallery’s Los Angeles branch. To Handler, the project was interesting precisely for how it translated the conventions of art acquisition to the equally fervent (and formalized) realm of tattooing: affording ink the status and scarcity of editioned objects, he hoped to offer patrons an experience that reflected the values of the Book Fair itself—tactility, rarity, intimacy, enjoyment. Following a keen reception in New York, Handler will reprise the project at the L.A. Art Book Fair in February. This second staging will feature works by Kenneth Anger, the Haas Brothers, Mark Mothersbaugh, Sterling Ruby, Analia Saban and Henry Taylor, rendered by members of the Shamrock Social Club. From there, he plans to encompass the project in a full-blown catalogue raisonné. Of course, for some, Gagosian’s very presence at the Book Fair is enough to raise eyebrows, to say nothing of the venture in question: though previous years have seen pop-up parlors from the likes of 8-Ball Zines and the Perfect Nothing Catalog, there’s something about a 16-branch blue chip catering to niche, offering live body modification at $250 a pop, that can give even more open minds pause. But to Handler, the setting seemed perfectly suited to the project’s true function—namely, that of providing visitors the means of acquiring legitimate, personally resonant artworks. Like prints or zines, tattoos are populist by nature, relatively affordable and modestly scaled; where otherwise prohibited by cost and access, here patrons are enabled in their pursuits, their collecting a gesture of genuine affection. This is why Handler views his parlors merely as points of departure: the real exhibition, he says, continues on the body of each given recipient, their stories extended in turn.